Virginia-Highland (VaHi) is one of Atlanta’s most coveted places to live and is a historic district listed on the National Register. Bungalows, cottages, and Foursquare houses, mostly built in the period from 1905 through 1936, line tree-lined blocks. VaHi residents live walking distance from the shopping, dining and nightlife that attracts people from far and wide to the neighborhood, while neighborhood parks, Piedmont Park and the BeltLine border VaHi. Residents know their neighbors and remain tightly knit with active neighborhood organizations including the VHCA, the neighborhood watch program, the security patrol, and the parents’ organization. VaHi is one of 242 official neighborhoods of Atlanta, and its neighborhood association, the VHCA, has a recognized role in planning and other city processes. 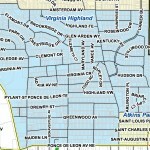 It is part of NPU (neighborhood planning unit) F. Atkins Park is a separate neighborhood from VaHi, but participates in the VHCA. 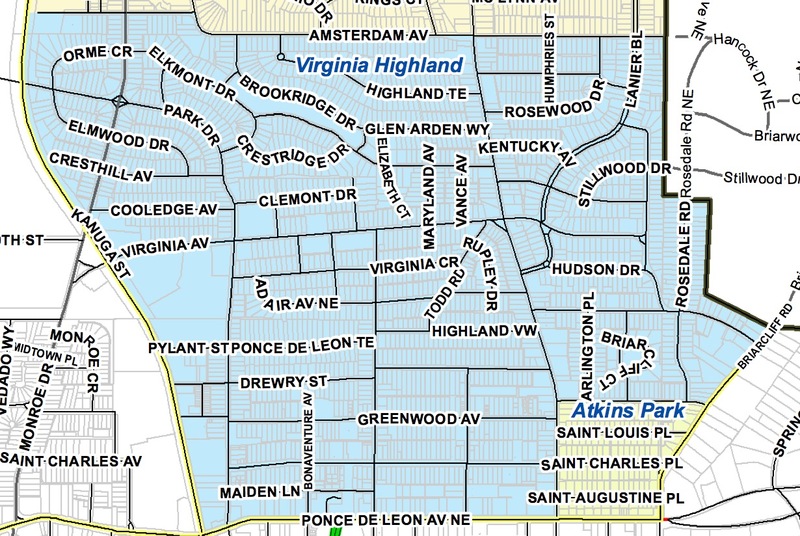 Map of Virginia-Highland in NPU F.
Virginia-Highland had 7,800 residents at the 2010 census.